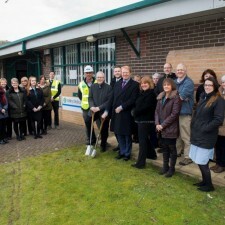 Work has got underway this week on a project to bring major improvements to Valley Medical Centre in Stocksbridge. Sheffield construction company Henry Boots has started work on the development which will transform the exterior of the building and create a better environment for patients and staff. The work is being carried out in phases to ensure that the medical centre will remain open throughout the £680,000 project – the start of the new development was marked with a special soil cutting ceremony on Monday February 26th and is expected to be completed at the end of September. 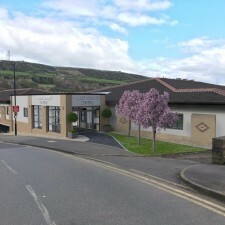 The existing building is to undergo an external facelift to improve the look of the centre and a new extension will create an attractive entrance area and lobby and allow more space for Stocksbridge Dental Practice, which has been rebranded as mydentist Stocksbridge. Internally the works will deliver an additional three new clinical rooms at the Medical Centre along with a fully refurbished waiting and reception area. A temporary entrance will be installed this week for patients whilst the improvements are being made to the existing entrance area. 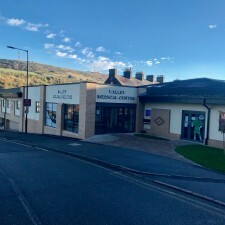 The building is owned by Dransfield Properties, the company which developed, manages and owns the award winning Fox Valley in Stocksbridge. The company’s development surveyor, Dave Hale, said: “It is great to see the work starting this week on a development which is going to bring significant improvements to the Medical Centre and make the environment much better for patients and staff. 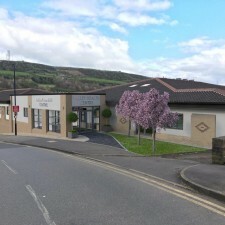 Valley Medical Centre caters for 9,700 patients in the Stocksbridge and Deepcar area. Dr Mark Atkin, the longest serving doctor at the practice performed the soil cutting (pictured centre left) and was joined by the Valley Medical Centre team as well as Dransfield Properties and Henry Boot.